These easy to use, hard wearing wireless Mic's are just brilliant. We cannot rate them enough. They have superb sound quality and great range, both in sound and in distance. If you are after an inexpensive but high quality wireless Microphone solution, this is what you want. Please ensure that the user holds the relevent licenses for operating VHF equipment in accordance with local law. Using manufacturing breakthroughs pioneered by Pyle, the PDWM2100 system redefines the price point for quality microphones. Class A solid state electronics are engineered for low noise, distortion and coloration. 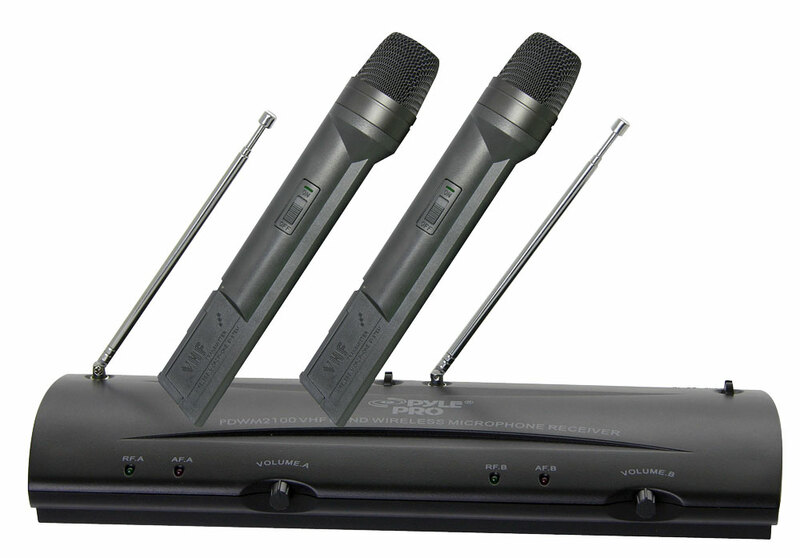 You will be amazed at how much microphone PDWM2100 gives you for the money. Pyle has been in business for over 35 years, and their manufacturing experience and expertise is easy to see - and hear.